If the sales and marketing people at Audi HQ would have had their way, the TT might never have been built. On seeing the early designs of the original TT in the mid 1990s their reception was best described as lukewarm. They predicted few sales and suggested fitting it with small engines with around 100PS. It was almost a Decca Records and The Beatles moment. The TT could have been the car equivalent of the band chosen instead - Brian Poole and the Tremeloes. 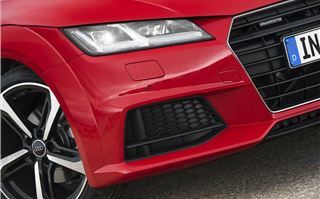 Fortunately for Audi, the sales lot weren't heeded and the TT has gone on to become the brand's most recognisable car. Desirability plays a big part in the TT success story. Audi itself admits that the first model was 80 per cent lifestyle and only 20 per cent sports car. No wonder it was given the 'hairdressers car' label and the open-top roadster version only reinforced this. Rarely was it taken seriously as a sports car among enthusiasts, despite more potent versions being launched. But now into its third generation, the TT Roadster has changed considerably. The latest model gets a sharper and more aggresive design, increased power and more focus on handling. The mainstay of the engine range is the same 2.0-litre TFSI unit that's used in the Volkswagen Golf GTI. The turbocharged engine is one of the best around with a wonderfully smooth and linear power delivery. It suits the TT perfectly and with 230PS it's not short on power. Acceleration from 0-62mph takes 6.2 seconds in the standard front-wheel drive model with the six-speed manual and power is always available when you need it thanks to plenty of low down torque. The gearbox could be a bit snappier but throttle response is spot on. Even economy is good at a claimed 47.1mpg. The same engine is available with quattro four-wheel drive and an S tronic twin clutch gearbox. This drops the 0-62mph time to 5.6 seconds although having the S tronic isn't quite as enjoyable as the manual. That said, the S tronic changes are properly rapid when you put it in sport or use the steering wheel mounted paddles. Plus a manual quattro is on the way. 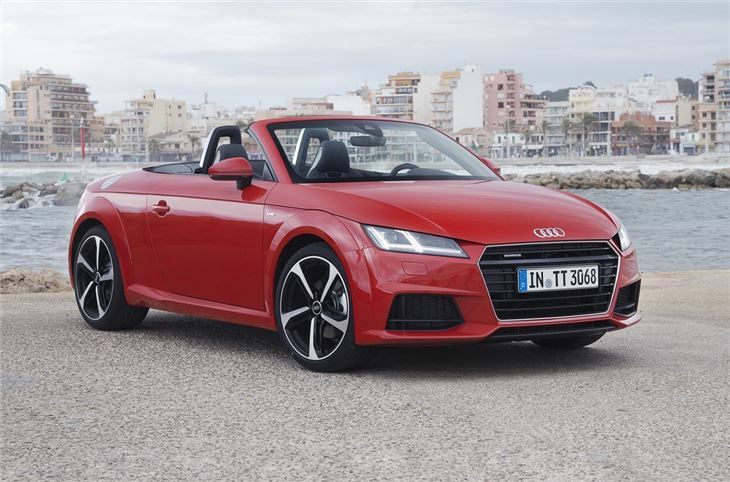 What the TT Roadster manages so well is to blend the comfort of a smooth ride around town - along with an easy to drive nature at low speeds - with impressive capability when you push it a bit harder. 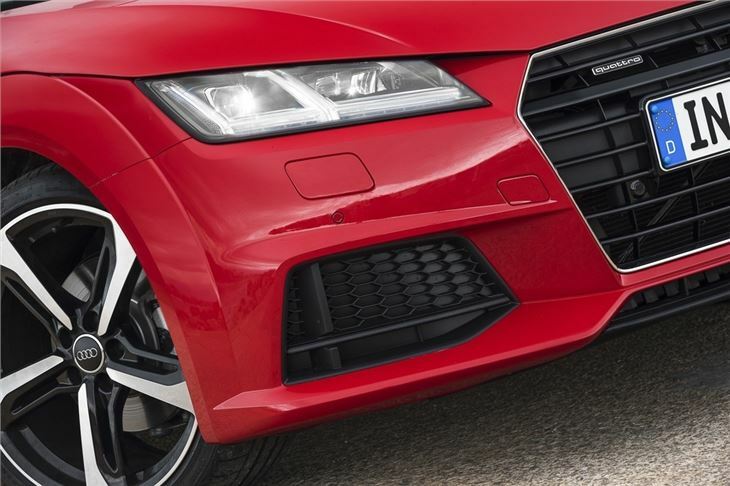 The front-wheel drive models can struggle for traction at times, especially in the wet, but the quattro version is mightily impressive when it comes to putting its power down. So is it a sports car? Well, there's no denying the TT Roadster is a high quality convertible - and a quick one at that. But it's also slightly clinical and lacks that engagement you want with an open top two-seater. The obvious comparison here is of course with a Porsche Boxster. Admittedly the Porsche starts at £38,000 while you can have a TT, albeit it less powerful, for £32,000. The TT is good, make no mistake, but it doesn't garner the same affection and enjoyment as a Boxster. What the TT does do well is style. The interior is wonderful with Audi sticking to the minimalist feel of the original. There's no big central screen and only a few buttons. So you get a neat layout with those iconic circular air vents while the low slung driving position is perfect. The virtual instruments are the real highlight and something that makes the TT feel a bit more special. It's a 12.3-inch pin-sharp high res display that you can change around - having the speedo and rev counter smaller and the navigation display bigger if you want. The roof is another highlight. Audi has stuck with a fabric roof - it's lighter and there's less to go wrong - which folds down in just 10 seconds and will work at up to 30mph which is handy if it starts to rain and you're in traffic. 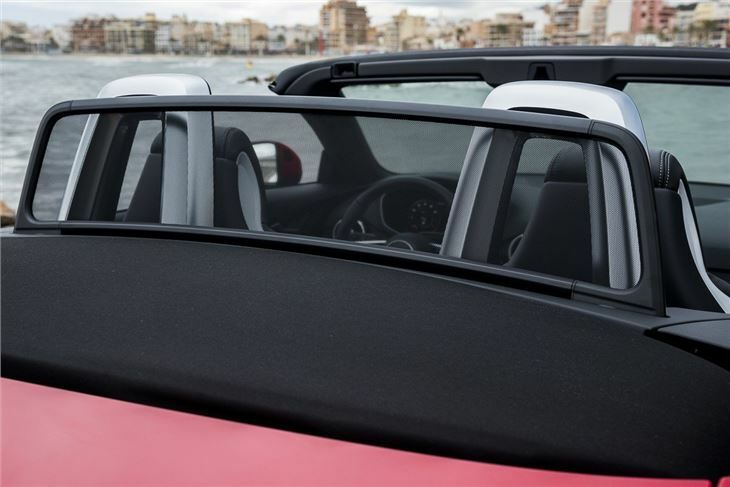 The roof is made of Thinsulate which means it keeps the cold out and reduces noise too - it's 6db quieter than the old TT Roadster. 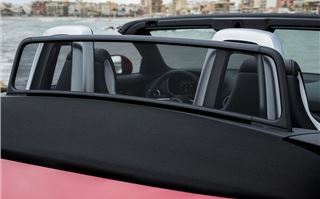 Cleverly there's an optional wind deflector that electrically slides up from behind the rollover hoops and seats that blow warm air on your neck. Folding the roof down doesn't affect the boot space and at 280 litres it's pretty reasonable for a convertible, although it is a little shallow. Of course few people buy a convertible for the fact its practical or sensible, but the TT Roadster is available as a TDI. The 2.0-litre engine has 184PS and while the noise of a diesel isn't especially great in a roof down car, it is very economical with an official 65.7mpg. At the other end of the scale is the TTS Roadster which arrives in June. This uses the same 2.0 TFSI engine but with 310PS. This really takes things up a notch with a much more performance feel, but for our money the standard 2.0 TFSI quattro is the best one to go for. Desirable, stylish and high quality, the TT Roadster is the perfect blend for a convertible sports car. The TT Roadster arrives in May.